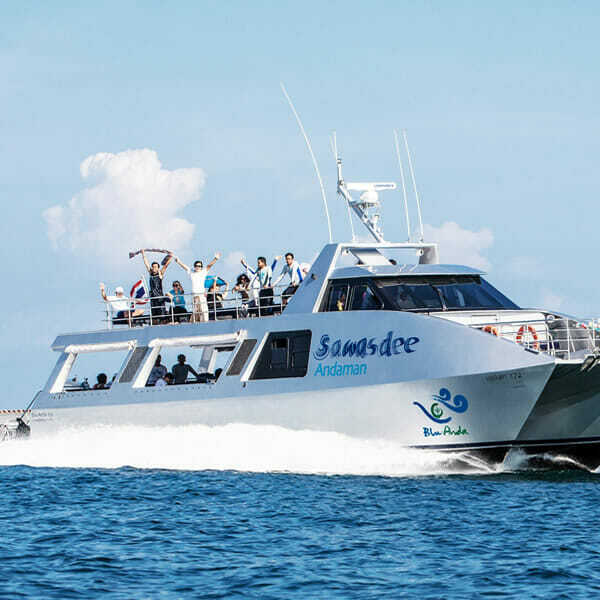 On this exclusive catamaran tour you will visit most important and wild locations in the Andaman sea, far from typical itineraries, reaching exclusively Hong Island, Leam Had and Yao Yai island, Yao Noi island. 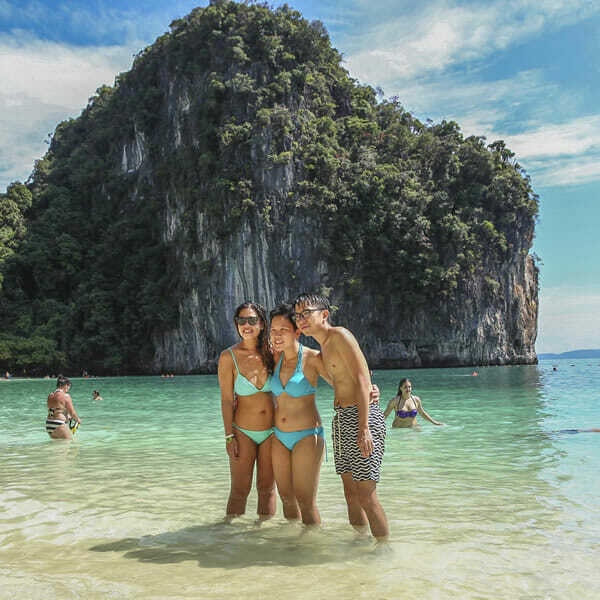 Enjoy amazing bay Swimming, great snorkeling time at Hong Island, great exploring at Koh Yao Noi and Koh Yao Yai, this are some activities you can engage including Kayaking to get in touch with Andaman nature, to feel always far from the all pollution in cities, kayaking among these which are most exotic sceneries in Phang Nga bay, surrounded by incredible limestone cliffs. 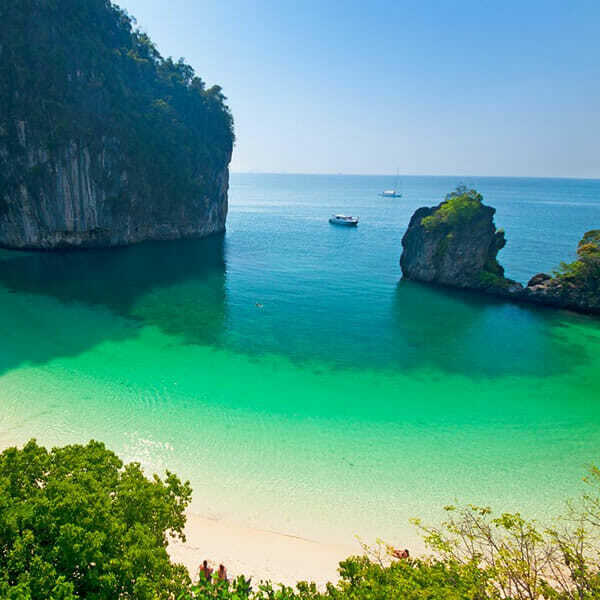 Enjoy the white sands and clear waters which make the Hong Island’s main beach the perfect bay and the ideal place for you to relax every moment in joy and nice swimming, feeling you really escape on holiday. Enjoy other many attraction on the day visiting for example the shelters of contemporary day fishermen, witness the evidence of real local Thai life as it has been since decades here! 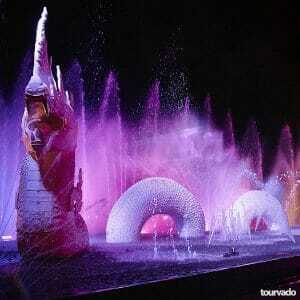 8.00 AM – 9.30 AM: Transportation. 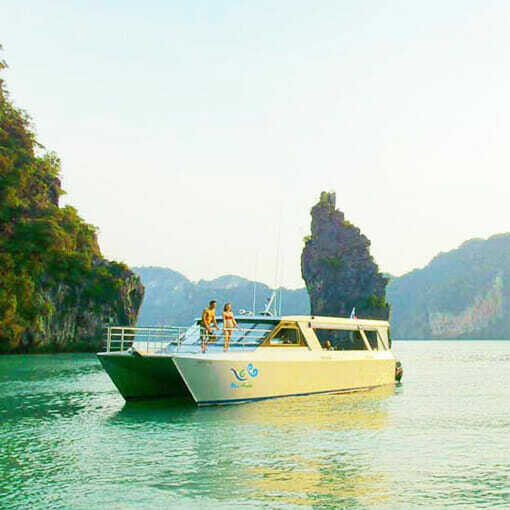 We start this amazing and Exclusive Hong island Catamaran tour with pick up from your hotel and transfer to Pier88 seafood Terminal at Ao Po Grand Marina ( a luxurious Pier in Phuket ). Here you will be welcome at our private lounge and you will enjoy registration, the american complete breakfast while listening the details of the tour..
9.30 AM – 2.30 PM: Departure, canoeing and sightseeing, meals and relax. 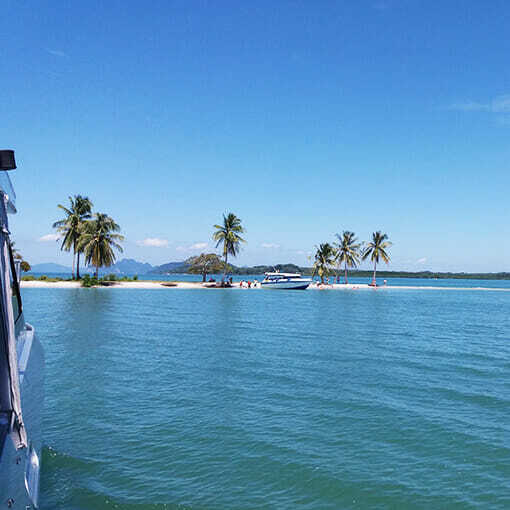 After our guides briefing we preper to get on board the catamaran and we depart at 10 am to Phang-nga bay heading to to Lean Had at Yao Yai Island. Enjoy swimming and relaxing at this wonderful locations on the white sand beach with this perfect scenery. 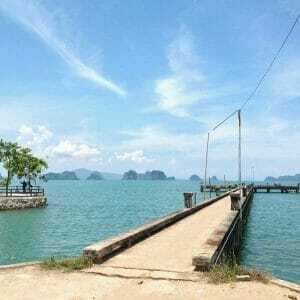 Then we can enjoy kayak along the Fisherman Village, get the feeling of free and fresh breathe of Phang-nga bay with the privilege of the spectacular surrounding of Yao Noi Island. Enjoy a quality Seafood, Chicken or Veggies for lunch at Blu Aqua -a private area surrounded by various kinds of sea life. 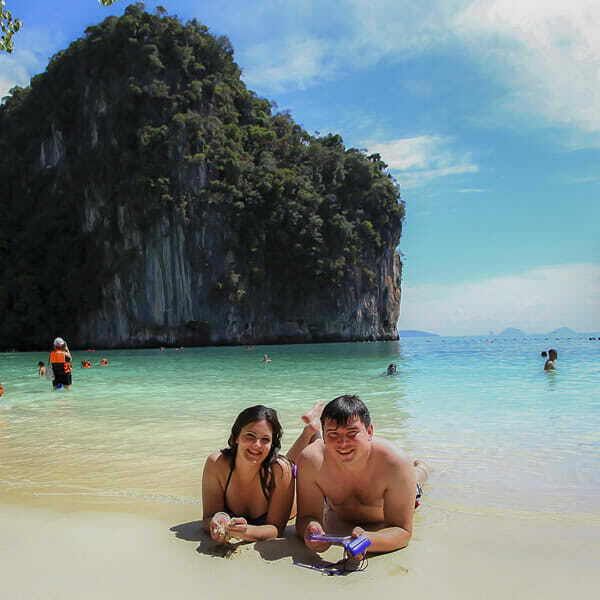 2.30 PM – 6.00 PM: It’s time to say goodbye and leave the floating farm to move on for the next destination, the place known as the real swimming pool in the sea, Hong Island; truly and always one of the most dream destinations in all Thailand. 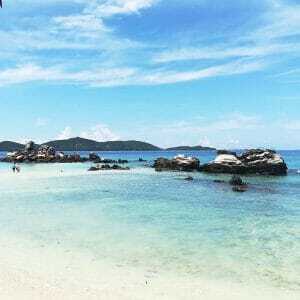 Let’s enjoy swimming and snorkeling with thousands of fishes or relax on the beach. Then we will also cruise further to the tropical rainforest, actually the perfect rainforest, taking a short walk we can discover the splendor of the tropical rainforest and all the wonders of multiple plant species before visiting The Giang Tree (more than 300 years old). 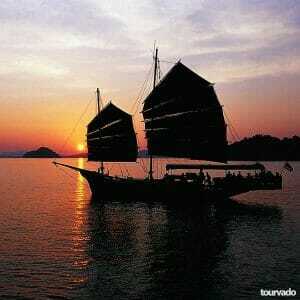 Arriving back at Ao Po Grand Marina we transfer back to your Hotel . 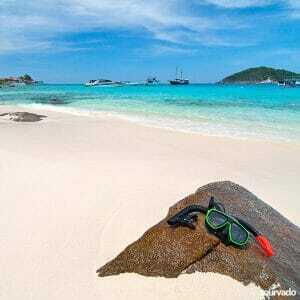 All snorkeling equipment, beach shoes provided.